Adding metallic elements to any space can help create a look of luxury, glamour, and wealth. If you love and appreciate a more modern design aesthetic, then metallic elements would be good to personalize your space. Metallic elements can fit into several design categories including contemporary, eclectic, rustic, and even traditional. It all depends on how you use the accents and pieces in the room. 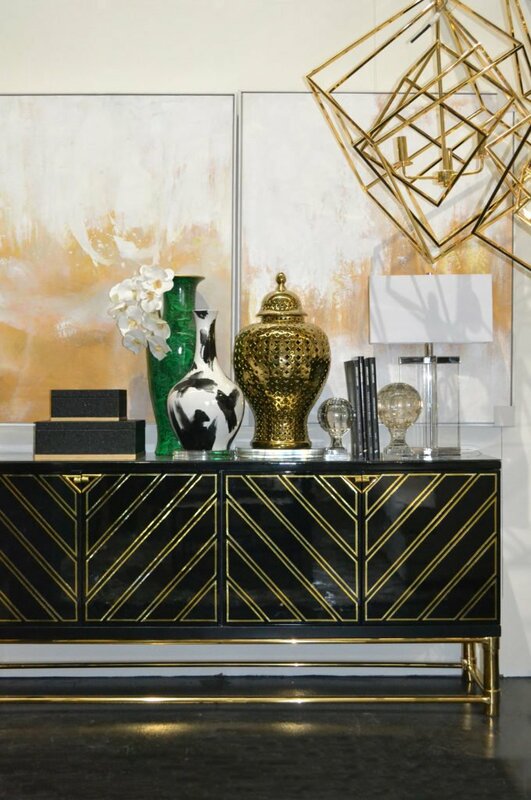 The picture above includes gold metallic accents and pieces paired with black and white. The gold really pops and offers a very rich and luxurious setting for the space. Metallic elements can be added through the means of accessories, fixtures, furniture, and even mirrors that you use.